Only privileged individuals are allowed to grow old. Nonetheless, the aging process can be daunting in a society that glorifies youth, physical beauty, productivity and efficiency. Further, many individuals find themselves floundering after the tasks of creating family and career have been met. Here at Valley Community Counseling Clinic we provide low fee psychotherapy to help older individuals navigate this stage of life. The second half of life has a different path and set of goals. This is a time to realize one’s unmet potential, develop hidden talents, more fully understand one’s inner world, deepen social relationships, strengthen spirituality and bring creativity into the fabric of life. With the proper mindset, this life stage can be rich with meaning, purpose and fulfillment. 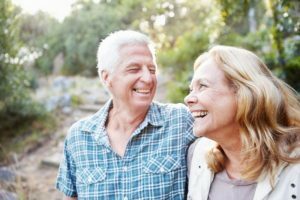 Research has shown that many older individuals find greater contentment and joy than they experienced in their younger years. Later life can be a summons to internal growth and personal development. In fact, we would not live to old age if longevity had no meaning for mankind. Please call upon us to help you explore the hidden treasures of later life. Newer PostDo You Believe In True Love?